The world's most famous mouse makes his first video-game appearance in a decade as he journeys through a limbo of forgotten Disney characters and tries to defeat The Phantom Blot  an evil unwittingly unleashed by Mickey himself. 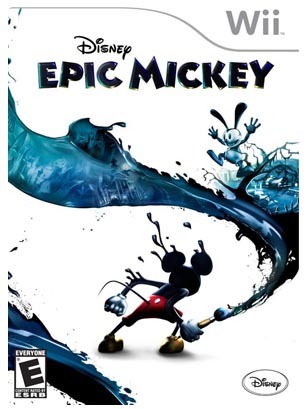 Created by revered game designer Warren Spector for the Nintendo Wii, Epic Mickey's ingenious structure lets you play Minnie's boyfriend as either heroic or mischievously self-serving  a risky move for the House of Mouse, who when it comes to Mickey's integrity usually errs on the side of overprotection. The action happens against a backdrop teeming with Disney ephemera culled from the company's long history  including a prominent part for Walt's first creation, Oswald the Lucky Rabbit. Sharp enough for older players and inviting to little ones, this could be the game that introduces Mickey to a whole new generation.